Imagination and discovery will be key as the political landscape shifts farming towards doing more for society and the environment. BASF has become the lead partner in the 2018 Agri-Innovation Den, along with the agritech incubation hub, Farm491. The aim of the initiative is to discover clever agritech, services and novel inventions which will benefit food production, land management and help farmers deliver more directly for society. Mr Miles says: “This journey we have embarked on feels right for discovering new ways of tackling farming practice. “Yields have stagnated over the past 20 years, which is a pattern we need to break. If we continue doing what we have always done, we will not deliver a different outcome, and we need to. “We have new challenges as demand for more output brings us environmental dilemmas, so science has to provide some of the answers. Mr Miles sees the link-up between Farm491 and BASF as a ‘perfect match’ to tackle such challenges. BASF is already very active in ‘co-creation’ projects. The company has helped ADAS and Innovate UK bring ADAS Agronomics trials analytics methodology to reality via the BASF Real Results trials programme. BASF has been working with Hummingbird, a finalist of the Agri-Innovation Den last year (also a member of Farm491) and with other start-ups. Mr Miles says: “We have extended our areas of interest, acquiring companies such as ZedX, a weather and agronomic modelling platform and into the biologicals sector, with nematode- and pheromone-based pest control products, including Nemaslug. BASF Venture Capital (BVC) is a key part of the company’s drive into novel agritech. It is a stand-alone business which supports young companies with investment, mentoring and routes to market. The team has run hackathons and pitch days. Mr Miles says: “BVC has invested in an array of enterprises, including robot weeding company EcoRobotix, which uses artificial intelligence, as well as businesses pioneering in 3D printing and blockchain technologies. 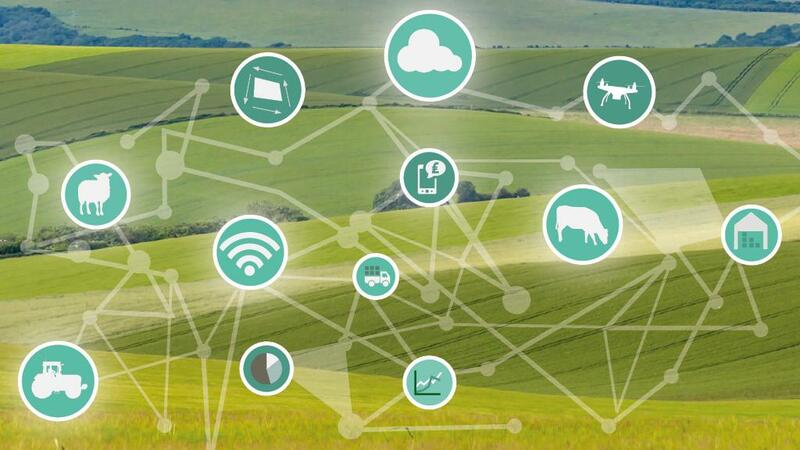 However, the creative ideas farming needs for a sustainable future need not only seek new innovations, according to BASF’s environmental stewardship manager Mike Green, formerly head of arable at Natural England. Mr Green says: “There are a lot of old technologies which are now being used in a modern context to help us farm more with the environment in mind. “For example, companion cropping in broad-acre crops and planting for wildlife on actively farmed headlands. “My description of how we need to think about farming and land management in the future is called ‘shared space farming’. Everything we do from this day forward needs to be wholly mindful of its impact on water courses, soil health and farmland biodiversity, as well as on the sensitivities and demands from society. One of the reasons BASF has partnered with more than 50 farmers through its Real Results Circle is to work with them to trial the conventional products it has, such as Xemium-based plant fungicides, and also to develop new approaches to farming systems. FARM491 is described as a space for innovators to grow their businesses. It is itself a start up founded at the Royal Agricultural University, Cirencester, in 2015, with funding from the university and the GFirst LEP Gloucestershire Growth Deal 2015-2021 and European Regional Development Fund 2017-2020. The team includes programme leader Dr Ali Hadavizadeh, with a background in agri, incubators and science, and Luke Halsey, who has worked in California on mission investing portfolios in the field of climate change and human rights, with a focus on agriculture and water. Dr Hadavizadeh says: “Farm491 provides high spec facilities created to foster entrepreneurship, idea generation and collaboration. Members have access to business support and a knowledge network which includes farmers, investors and expert advisers, as well as open access to farming data. Members can test, refine and grow their ideas. 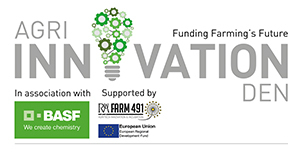 Dr Hadavizadeh says: “Shortlisted Agri-Innovation Den applicants will be invited on to one of our two-day AgriTech Innovation Programme Bootcamps here at Farm491 and will be welcome to use facilities and business mentors any time they want.